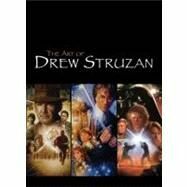 Some of Drew’s movie one sheets that you can purchase. He is the favorite artist of both George Lucas and Steven Spielberg and the artist behind some of the most iconic images of our time… he is Drew Struzan. Struzan has worked on the posters for the biggest films of the last 30 years. Blade Runner, Back to the Future, Jurassic Park and E.T: The Extraterrestrial to name but a few. The first ever book to cover Struzan’s iconic poster artwork in depth, with the final artwork for each piece accompanied by background and anecdotes from an exclusive interview with the artist. With an introduction to Struzan’s philosophies and techniques, this stunning hardcover will include photos, sketches and reference material, plus closeups and a brief history of each poster featured, from Star Wars to The Goonies.